Three decades after the iconic cut, we're still crying tears of pain. Earlier this year, on January 15th, the iconic hip hop single "Self Destruction" was released, creating a voice of awareness and anti-violence messaging for the rapidly growing hip hop culture. Three months after the song's 30th anniversary (1/15/89), we find ourselves in mourning once again over the murder of LA rapper, activist, entrepreneur and father, Nipsey Hussle. It's another incident that takes us back, once again, to hip hop's early years. The year was 1988 and KRS-One had had enough. He had already had to deal with the death of his BDP brother, Scott La Rock, who was killed on August 27th, 1987. A year later he was watching foolish violence infiltrate rap concerts and destroy the essence of hip hop music. After a fight broke out, resulting in the death of a fan at a concert at Nassau Coliseum in Long Island, the venue banned hip hop concerts, an act other venues, such as Madison Square Garden, informally copied. In response, KRS took action and established the "Stop the Violence" movement to help stem the bloodshed while attempting to bring the music back to its roots and intrinsic purpose. The first major step in this effort was to assemble a who's who of New York hip hop royalty including D-Nice, Ms. Melodie, Stetsasonic, Kool Moe Dee, MC Lyte, Doug E. Fresh, Just-Ice, Heavy D and Public Enemy and put their voices on wax to talk about the violence happening in the culture. The track, produced by KRS-One and D-Nice, was entitled "Self Destruction" and a movement was born. While the video was littered with cameos of other big names from hip hop history (Tone Loc, Red Alert, etc), it was the message that was to be heeded. "It really ain't the rap audience that's buggin'. It's one or two suckas, ignorant brothers, trying to rob and steal from one another. You get caught in the mid," said KRS to kick things off. "Leave the guns and the crack and the knives alone," followed Lyte. For those of us who grew up during this time, the lyrics are ingrained in our minds. But it was more than just a song. It was a wake-up call for urban culture to open their eyes and see what was happening. It was also a way to combat the false narrative that the media had adopted, one which painted the hip hop culture as one of violence, drugs, and crime. And one which conveniently overlooked the positives like creativity, entrepreneurship, originality and hard work. "Self Destruction" was the first step in rap attempting to develop a true consciousness during a time when the party sound of its early years was being pushed to the background by a darker sound out of the West Coast called gangster rap. Although artists such as NWA, Ice-T, and others were lyrically crafting graphic pictures of the rough streets they came from, even they came to a realization that they needed to do something about the violence plaguing their neighborhoods. So they took a page from "Self Destruction", gathered west coast hip hop royalty together and dropped "We're All In the Same Gang" in 1990. The attempts by these artists to control and shape the narrative of the music and culture, while simultaneously trying to improve the lives and futures of their communities, was felt as organizations like the Urban League and LA-based Project Build, benefited from record sale proceeds. This period of accountability and responsibility gave rise to conscious hip hop, where artists like Native Tongues, Paris, X-Clan and others took the baton from Public Enemy, BDP and NWA and injected bigger shots of Blackness, social conscience, politics and Africa into the music. While they didn't have an immediate effect on the realities urban communities faced, they did help combat the false narratives spread by those attempting to tarnish the influential voices emanating from the streets, voices that were growing louder and more powerful every day. It took time, pressure, fighting and conviction, but eventually things began to change. Artists moved away from the gun talk and into more lyrical talent, and the mainstream began to open its arms to the art form, particularly because of the money that was spooling up behind it. Yet no matter the success of these efforts, we still lost many to senseless violence over the years, each one as devastating as the previous one. Scott La Rock, Tupac, Biggie, Big L, Freaky Tah, Jam Master Jay, Soulja Slim and too many others. All are gone due to the ignorant egos and "crabs in a barrel" mentality which too often destroys communities of color. Just as one is making it out, jealousy and envy come raining down in a hail of bullets, and an artist, son, father and loved one is taken from us. This is exactly what happened Sunday afternoon, March 31st, when Nipsey Hussle was shot and killed in front of his clothing store in LA. Nipsey's death was devastating to a wide range of people, from those he grew up with to professional athletes. His senseless murder immediately took me back to the days of the aforementioned late '80s and early '90s. It's eerie, yet unfortunately not surprising, that the same issues and similarities exist in Nipsey's murder as they did three decades ago. Here was an up and coming artist who had matured to become an activist, businessman investor, father and loved one. And, to a few, a target. He was a man who recognized his power and influence early on. From selling his mixtapes in a parking lot to owning a business in that same parking lot. From preaching the importance of ownership to helping to bring STEM programs to inner cities across America, Nipsey obviously wanted to inspire and uplift those who too often lack opportunities, resources, understanding, motivation, inspiration and a voice. He was a man who had a positive effect upon everyone he touched, as evidenced by the outpouring of emotions across social media over the last 24 hours. His death reminded me of Biggie, a man who wanted to bring the people of Brooklyn up with him, who never forgot where he was raised and who wanted those in the streets to get off of them. "Spread love it's the Brooklyn way" was one of his famous lines, and he was doing just that until jealousy and envy came calling and he was executed for absolutely nothing. I remember my brother blowing up my phone to tell me Biggie was dead. I remember Angie Martinez crying on the radio for both Tupac and Biggie. I remember Funkmaster Flex breaking down on the radio and storming out of the studio over the murder of Jam Master Jay. These are all of the memories that came flooding back when I heard about the death of Nipsey Hussle. And they're incidents revolving around the same thing. But as I recalled those sad times and read the heartbroken postings by those who are hurting, I was also waiting for the slanted, ignorant narratives to start up again, and it didn't take long for it to appear. Yes, in a since-deleted tweet from the Fresno Bee, Nipsey's death was ridiculously associated with an incident that happened four years ago. 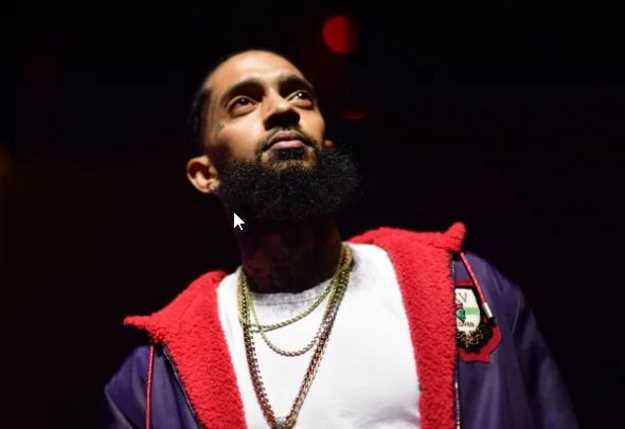 It occurred in the parking lot of a Tempe, Arizona club and had nothing to do with Nipsey other than his name was on the venue as the performer. But as always, a few have to ruin it for everyone, and, ultimately, the genre and the artist takes the blame for no reason other than it's convenient. After that incident, Nipsey issued a statement denouncing the violence, echoing the hip hop voices of the past. "Many people will wrongfully attribute this incident to the hip-hop culture, which is purely and simply false. The alleged shooters were not ticket holders for my performance. Regardless, this incident is a tragic reminder of the circumstances that face our community every day, and my heart and prayers go out to the victims of this, and all the other senseless acts of violence occurring every day in our communities." I don't think that the Bee happened to mention that. Nipsey's statement exemplifies what hip hop fought against for so long, and obviously will continue to confront. These false narratives and media slants that blame the artists and the art for the actions of a few. We've seen it so many times where white criminals are labeled as quiet and soft-spoken, implying that they could not have shot up a church or movie theater. But once a face of a darker shade is part of the equation, code words such as "thug" surface and the most unflattering photos of those in question are broadcast across local news segments. The wording in the Bee's tweet was pathetic, yet expected. It's been a common practice so it was just a matter of who would commit the stupidity first. While the details surrounding Nipsey's murder are still being gathered, the most recent news being that one suspect, Eric Holder, is being sought, his death will stand as a loss that many will never truly recover from. Lauren London has lost a love, his children have lost their father and his family has lost a son and a brother; those are voids that will never ever be truly filled. And, once again, we witness how the ugly, cowardly actions of a few destroy what talented young men have worked hard to overcome and worked even harder to foster. It's a lesson "Self Destruction" and Heavy D tried to warn us about decades ago. "They call us animals, mm mm, I don't agree with them. I prove them wrong, but right is what you're proving them. Take heed before I lead to what I'm saying, or we'll all be on our knees, praying." Hopefully it's a lesson that the next one learns before he picks up the gun over nothing.